FEAR not! Kevin Trenberth’s “missing heat” blob will appear at any moment and prove that your SUV drives, not only on trails, but the oceans as well! 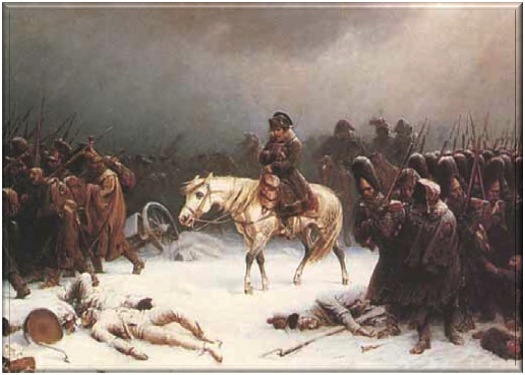 Russian Winter: “Napoleon’s Retreat from Moscow” Painting by Adolph Northen/Wiki Commons. George Washington’s army also suffered from an unusually bitter winter at Valley Forge in 1778, in the depths of the Little Ice Age.